Learn to compose music, and understand the role music theory plays for a composer. The Elements of Music Composition is the missing puzzle piece for composers who know music theory, counterpoint, orchestration, form, analysis, and instrumentation; yet, still don't understand how to blend all of the disparate elements into a work. Readers learn how the elements and cornerstones in music can work together to create an organic musical work. While this book is geared towards composers and musicians, the concepts are also simple enough for the avid listener to understand. This is a book for all music lovers. Deconstructing the dogma associated with the seemingly impenetrable art of music composition is a primary aim of this work. Composers are introduced to the concept of organic music and begin to develop an understanding of how coherence and comprehensibility play a major role in the creation of musical works. Music theory fails to account for an individual's capacity to experience beauty and emotion in a musical work, and it only teaches a composer to replicate an established style. Music theory is an excellent training tool, but the composer who wants to go beyond the ordinary must dissect the composing process to reveal the mysteries buried within. This book shines a light on the process of composing music. While student composers need to learn established systems of music theory and composition, systems should be abandoned when it comes time to compose authentic works of art. This text describes how a composer can use melody, harmony, form, orchestration, and timbre in a connected process where every element contributes to the composition and serves a role. Composers will not complete exercises, improve technique, or learn the typical concepts addressed in your average music composition course. This text aims to get deep inside the process of composing to reveal fundamental principles that apply to several musical styles. Generic exercises that instruct a composer to create a melody on an established chord progression, fix voice leading errors, and create modulations to scripted keys do not encourage original thought. Composers must be taught the principles behind the theories to understand how to compose original music that stems from a deep understanding of the nature of music. The best composers in history learned to write music by following in the footsteps of their predecessors. Composers created music based on the principles of voice leading and counterpoint before the advent of music theory. Beethoven was notorious for carefully working out counterpoint exercises, and he went to great lengths to ensure his exercises followed the proper procedures. Mozart used counterpoint to teach his own students. 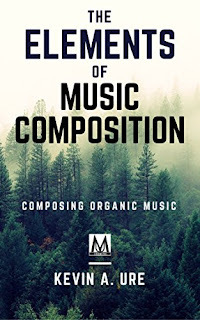 This book reveals the basic underlying principles of music composition so composers can create effective musical works based on sound principles instead of limiting theories of music composition. Performers have scales, arpeggios, and repertoire to help develop technique. Studying an instrument requires a formal program of instruction that's designed to develop technique and skill. As a composer, you can also develop your technique so that when inspiration hits, you're ready to write down your ideas no matter where you are. Bach was known for his ability to create music quickly. Reportedly, he composed a composition every morning as a warm-up exercise. For composers, the old maxim of "use it or lose it" is absolutely true. The more music you compose, the better you'll become. Developing a better overall technique requires practice. Any composer can improve, but you have to put in the work and complete challenging exercises to achieve mastery of your art. By completing time-tested exercises and developing a practice routine, you'll become a more effective composer. The text is organized into several chapters. 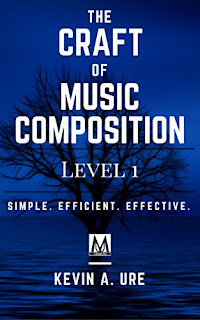 Each chapter provides insight into the technical side of composing music. When you download the book, skim through and select the exercises that are relevant to the technique you want to develop first. Create a practice routine, and get to work improving your ability to compose effective music. Each chapter is designed to meet you at your current level and propel you to the next one. Designed for all composers, most exercises allow you to choose from three levels to match your level of experience. Begin to work on your technique today and compose your story. Beginning Composers: Come to this course with only a basic knowledge of music theory, and you'll be able to dramatically improve your understanding of the basic principles of music composition. Intermediate Composers: Enjoy intermediate exercises to help take your technique and music to the next level. Advanced Composers: Refine and solidify your technique to ensure you're prepared to create music that will stand the test of time. This text has been used in private lessons to help a number of student composers develop their technique and make it to the next level. Each technique is designed to take at least one month to master. 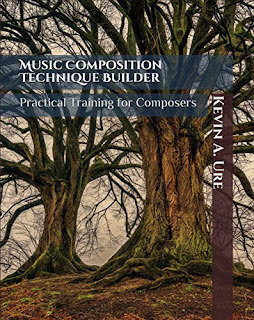 Composers have enough material in this book to create a training program that will last a year or more. This course is for the composer who wants a traditional composition training program that allows the ability to move at their own pace. The composition course takes composers through 16 self-study music composition lessons. Anybody can learn to compose music but to be an effective composer you need to develop some skill. Talent and drive are essential, but you need solid technique and an understanding of basic principles of music composition to make your works stand out. While it's true that some composers have created music without knowing how to read music, these composers are exceedingly rare. The reality is that if you're going to be an effective composer, you must learn to read music. Prerequisites: Before Starting the Course. This course expects that you can already compose music. If this is not the case, take some time to learn about the musical staff and the notes of the treble and the bass clef. Before starting this course, you should know how to do the following things: - Build and recognize basic triads and seventh chords (A brief review is included) - Recognize and identify key signatures. Instant recognition is not required, but it certainly helps. - Read and write music notation - Clap rhythmic notation Before purchasing, you should understand the basics of music notation, including key signatures, time signatures, note recognition in the bass and treble clefs, and common score indicators. This course is not a music theory course. It's designed to take composers from the beginning stages of composing a piece through to the very last edits. Each lesson will focus on a different element of a composition. If you follow the lessons, you'll have a completed work by the end of the course. You'll also learn about the mechanics of composing music along the way. Each unit may take several weeks to complete. Beginning students may need several weeks per unit while advanced students may only require one lesson per unit. In addition to the course, each unit provides an ear training exercise that the student is expected to work on daily. After composers have completed the course, they will have a strong understanding of the fundamentals of music composition. Students that graduate from this course will be ready to undergo advanced music composition lessons and begin working on their own original compositions while developing their unique voice and style.